Chunky or thick knit sweaters are a welcome addition in the cooler months but can pose a challenge for a big and tall gent. 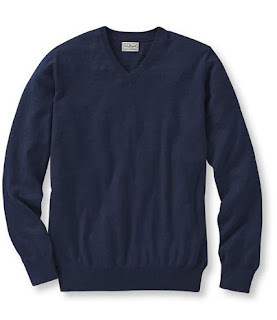 Sweaters may create extra bulk and a disproportionate look on a taller, bigger, and broader man. However, the good news is, a variety of sweaters in many cuts, styles, and fabrics exist that compliment a big and tall build. As a general rule, look for sweaters that are lose enough to be worn with a collared shirt or t-shirt underneath while still tight enough to be worn comfortably under a jacket. As for a dress shirt, or suit jacket, the shoulder seam of the sweater should lie as close as possible to the corner of the shoulder. This is the foundation of a proper all around fit. Sweaters should be cut close to your body. The body of the sweater should lightly skim the torso while being long enough to cover the waistband of your jeans or trousers. 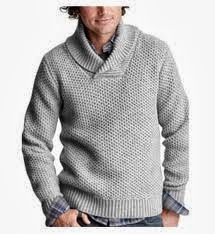 Avoid sweaters that are so bulky or "blousy" that they cause extra folds in the waist area - never a good look. Above all, cashmere is the premier choice of sweater fabric. This thinner material provides optimum warmth in the fall and winter while preventing unwanted bulk. Cashmere sweaters layer well with collared shirts and are comfortable to wear under a blazer. Quality cashmere sweaters are a great investment as they will last for years and provide ample opportunity for wear. Wool sweaters are abundant although many are chunkier and heavier. A vertical cable knit pattern can help elongate the torso and maintain a proportional look on the broader man. The big and tall gent should not shy away from a chunky sweater, simply ensure that the sweater is not so thick that it cannot be warn under a jacket. The traditional look of a wool sweater is a must for any classically styled gent especially colder months. Cotton sweaters are the lightest version of sweater fabric and can work well for autumn, spring or cool summer evenings. These sweaters also layer well with collared shirts. Additionally, cotton sweaters can be comfortably worn directly on the skin, as they are not itchy like some wool tends to be. The crew neck sweater is the most classic choice. It layers perfectly with a collared shirt and stands on its own paired with dark wash jeans. Wear it in solid colours or patterns such as argyle. This sweater, when fitted properly, pairs well with a blazer. V-neck sweaters are flattering on a broader frame, helping to elongate the chest area. This style looks classic with a collared shirt and tie. When wearing with a t-shirt, pair with another v-neck instead of crew neck t-shirt. 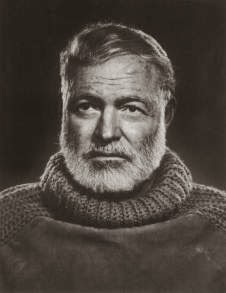 The turtleneck is another staple - every man's wardrobe should have one. Wear it under a suit or blazer with flat-front trousers. Opt for a darker colour to help slim the upper body. Lighter cardigans are a good layering option in the cooler fall and spring temperatures while thicker cardigans lend a helpful hand in the winter months. The cardigan pairs well with collared shirts, blazer, or even a suit. A quality sweater is well worth the investment. Versatile across seasons and occasions, we recommend that big and tall men have at least 2 or 3 in the wardrobe at all times. Follow these simple guidelines, stay away from anything loud, festive, or straight out of a 70's ski movie and you'll be well placed for a range of outfit and style combinations.